Well, following yet another sleepless night, I thought I'd ask the rest of you, am I the only one with annoying, irritating noisy neighbours? The couple upstairs spend most of their time arguing - with liberal use of the 'f word' and the 'c' word, come to that. I can hear everything and am quite tempted to join in at times. Plus, their eating times are totally out of synch with the rest of the UK and lunch is at 8 pm with dinner at 2 in the morning. All the smells of burnt fish and stew drift downstairs and through my window. It wouldn't be so bad if they could actually cook but if it's not burnt, it's fried with rancid oil. The other, really stupid thing is their 'keep fit programme' - jumping up and down at 2 or 3 in the morning. My ceiling feels like it's going to cave in. It sounds like they've got a lot of equipment in there. I think it's keep fit they're doing, anyway! I'd like to gripe about poor sound insulation in new houses. Having recently managed to buy a small flat at a reasonable price, I was delighted to be able to move in. The place looks great and is handy for shopping, schools and so on. The only problem is the noise. I can literally hear the highlights of my neighbours life. The next door neighbours, that is. It's not just footsteps (which sound like someone is moving the furniture around) but all the little things like someone having a pee in the bathroom! Well, I think it's in the bathroom. Sounds like it's right next door in the living room. And I don't even want to go into details about 'nighttime activities'. It's really bad. I can even hear the extractor fans going in the bathrooms and kitchens, people sneezing and using pots and pans in the kitchen. The thing is, if I can hear them, then they can hear me as well. Which means that I think twice about having a loud conversation on the phone. What on earth has happened to building regulations and why is the sound insulation on modern buildings so poor? Do they ever check anything? I'm really fed up with this and I'm starting to think about moving already. Not such a bargain after all! @LouLou, It was yourself that made unfounded accusations of your neighbour smoking pot, it was yourself that made the mistakes in the first place in your post, and you want me to " get over myself". Before you start slaging people off behind their backs, TALK TO THEM FIRST. It's people like you that promote bad feelings within communities with unfounded accusations. @LouLou, "recently moved into the flat below us". but, "This guy though...he has done constant DIY for years now". You need to get your story right, are you sure it's him smoking the pot? My husband and I live in a lovely maisonette/ flat which is in a terrace of Victorian houses, great area, all our neighbours are normal and friendly , except the chap who recently moved into the flat below us. He is a nightmare. I thought I was the only one experiencing noise from neighbours below- can hear them urinating when my head is on pillow,word for word talking in the bathroom,their coffee machine the list goes on!! I too am in a new build currently looking at moving. sound level checks weren't done as robust details used and my landlord is reluctant to do anything! I have stuck it for 2 years but now it's time to move!! P you are to griping as a scatter gun is to target shooting. I live in a mid terrace flat and get noise from all directions. 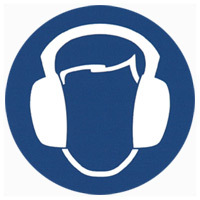 I can live with it - nobody is deliverately loud - it's just non-existant soundproofing. The real problem is that I know they can hear me. When I get a phone call, I have to try and fine somewhere away from the adjoining walls. Not that my phone calls are anything untoward, it's just the lack of privacy that bothers me. Our neighbour has been"doing his house up" for 6 years. We call him bodge the builder. Everything is left half finished-it all has to be seen to be believed' He's half bricked up the back door and bathroom window. Knocked a front porch down but left the wooden supports and bare brick. Replaced windows with what can only be described as ill fitting odd ones.Including one he's put in the roof. Replaced patio door that had steps up to a path in front of them, with full height wooden ones that look like internal room divider doors that now have a 6 foot drop as he knocked the raised path down to put decking up(half a job) then took the decking down to put at the bottom of the garden (half done) Built a huge wooden "shed" again half built that now has a tarpoline roof. All this whilst doing work internally as well. We are really worried about the structural integrity of all the work he does. The fact that he has scraped his chimneys out fills me with fear for what will be next. Read in the news today that this stupid government will not commit itself to setting minimum sizes of new houses and flats. More and more people then will be crammed into less space, greatly exacerbating the problem of noisy neighbours and poor sound insulation. As usual, the government is not for the people but for Big Business, in this case, the housing industry. So, let's look ahead to see the UK, particularly England, saturated by more doll houses - tiny little things that will barely allow room for the normal every day activities of life, never mind having dinner parties, or relatives and friends to stay, or buying any large items e.g. a double-bed. The increasingly close proximity of the neighbours will put stress levels through the roof! Does the government give a damn? Obviously not! And yet the majority of us will still dutifully go along to the polling stations next General Election and place their 'X' at the side of one of the 3 main political parties. This is a most pleasant surprise for all of us joe from splott ! We did not think you capable of such subtle and perceptive irony ! I sympathise, it is important you keep up your diary. You have my full sympathies cammy88. I too have noisy neighbours. Unfortunately you will never get them to be quiet. Dogs will bark, cows will moo, humans will be noisy, it's just the way it is. The only solution is earplugs. Earplugs, in my opinion, are the greatest invention mankind has ever gifted itself. Foam ones are the best, buy several different brands to find the best. I was just browsing the net while being kept awake at 2am. Came across this site! I have lived in a flat now since i was about fourteen years old (25 now). At first the area was peaceful till they built another 50 houses at the side...We have had four sets of neighbours living above us. The last ones had a broken tumble dryer that sounded like it was trying to come through the wall! The girls partner used to have a party from 10pm till 2am-7am. That only happened a few times and they stopped after a while. Our current neighbour is the worst so far...A single mother, must be about twenty two. Anyways all was fine for the first few days till all we heard was slamming of doors, heavy footsteps, banging around, clattering of dishes. This still goes on now! There is arguing between her and the partner (who doesn't even live there) The child has tantrums constantly, wakes me up at 7-9am from running around and screaming. It really is ridiculous, these people have no respect at all. My mother went to the door and politely said "can you keep the noise down please" and we basically got told to F off!! Got to the say the attitude of the girl was foul too. Since then we have had her come to our door mouthing off and then making loud noise on purpose. The recent thing is this banging noise that goes on anywhere from 7pm till maybe 3am, on and off. It stopped for a few months then started up again at night...Two times this week i have slept on the sofa!! Very stressed out and angry, thankfully we are keeping a diary of the noise but i wish they would do something quicker. I swear i will never live in a flat again!